This new-build family residence in the city of Ashland, Oregon, sits equidistant between Portland and San Francisco, near to the border with California, on the southern side of the city, where the land rises towards the Siskiyou Mountains. The plot is interesting due to its position within the city, underlying topography, orientation and adjacency to a local park. Although the plot is within the city limits, the low density urban structure and abundance of large native trees provide a quiet and almost rural character. 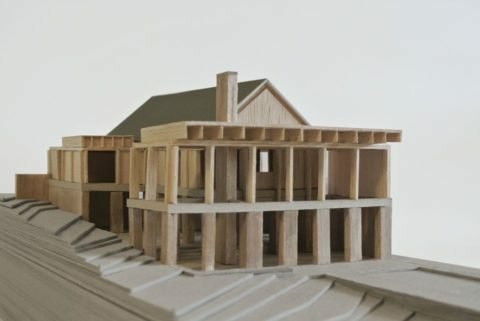 There is huge variety in the scale and style of the surrounding residential buildings, albeit with a prevalent use of timber frame construction, clad in a mix of both natural and synthetic materials. 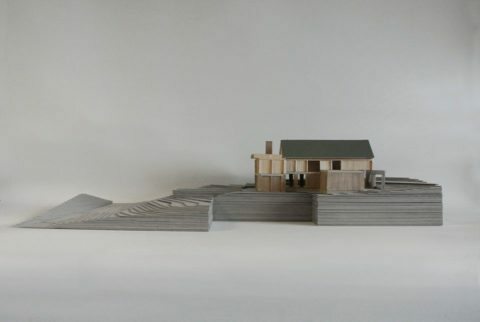 As such, we felt the proposed dwelling could define its own language and appearance, while providing a recognisable and positive contribution to the surrounding context. 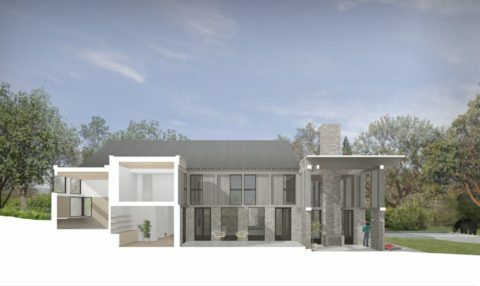 The design ambition of the project is to provide a spacious and crafted contemporary family home which takes advantage of the unique features of the site, embraces local construction methods and uses a restrained palette of readily available materials. 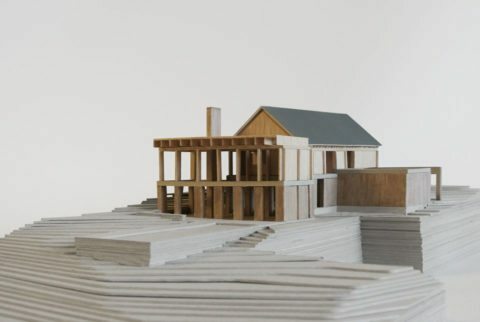 The proposal seeks not only to capture a sense of its physical surroundings, but the American cultural context too: large, distinct houses facing onto the road with real presence; the great American barn. 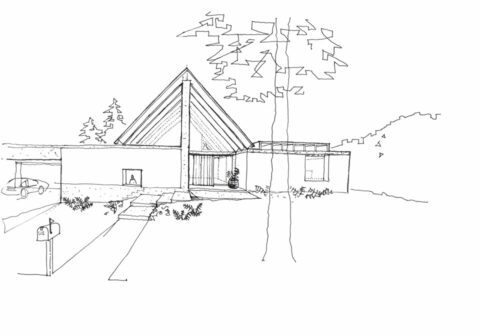 A large, open gable at the front of the house faces onto the road, announcing the house on the site and allowing external viewers a sense of the house as a long, deep volume reaching towards the park behind. Layered walls inside ensure the house is still experienced as a series of smaller, domestic spaces. The back volume takes on a more American modernist feel. In contrast to the large, triumphal pitched roof volume, this more modest pavilion sits quietly behind, with views out across the surrounding countryside. 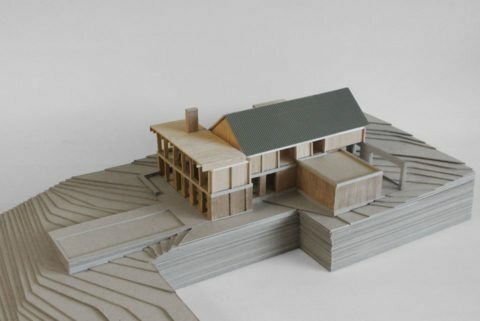 The house has four distinct volumes, which have been designed and arranged in response to functional requirements, stringent solar access regulations and utilisation of a standardised structural approach – whilst also ensuring the building has presence on the street and within the surrounding context. 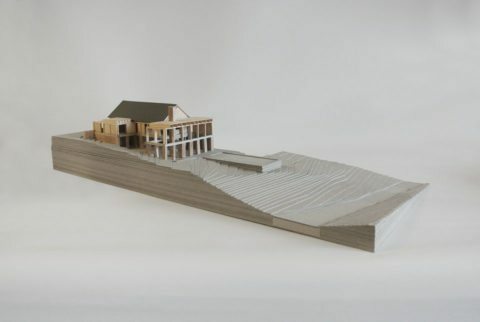 The base of the building is constructed using facing brick and in-situ concrete to create a solid and robust building mass rising from the ground, as well as providing the necessary retaining required with such a sloping site and partially sunken split-level interior. Above this base level, naturally weathered cedar cladding spans between expressed vertical timber posts, which in turn sit under varying roof forms. 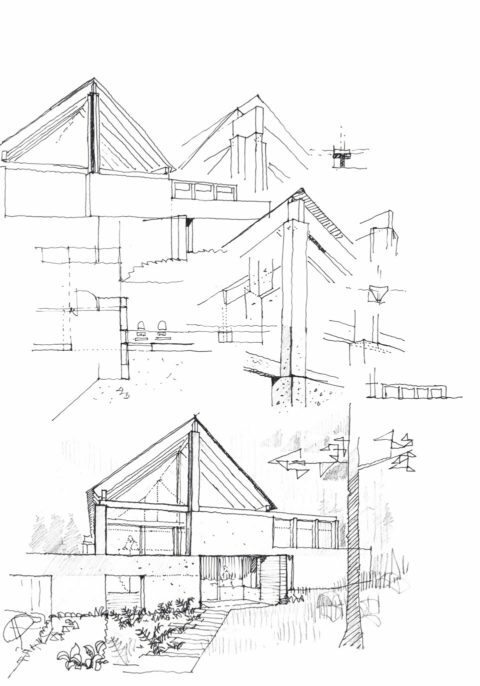 The most prominent of these is a large pitched roof with exposed timber structure. 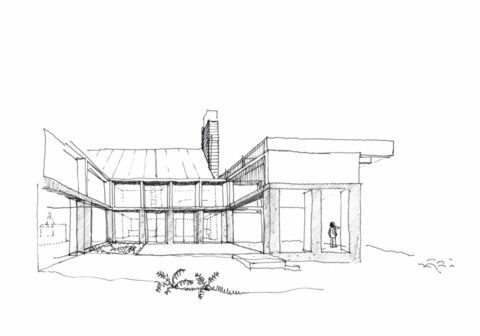 At the rear of the house, a large over-sailing flat roof sits above an east-facing double height sitting room. To the south of this a covered external ‘sitting room’ with open fireplace connects the garden and a south-facing dining terrace accessed from the kitchen. On the upper floor, the large pitched roof structure is left proudly exposed, providing spacious and voluminous rooms, some with playful mezzanine decks above. 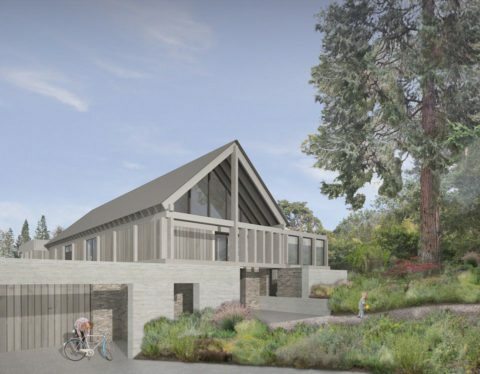 The roof continues past the recessed front facade, boldly supported by an engineered timber column over the triple-height porch entrance space. The project is currently on site and due to complete in 2019.